Click here for this latest issue (PDF, 2.3MB), or see portlandflag.org/vexilloid-tabloid for access to this and all previous issues. What flag should I fly today? 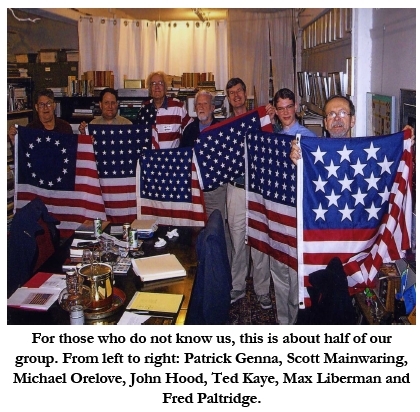 Flags want to be flown, and John Hood knows when to fly them, according to history and customs. In the new issue of PFA’s newsletter, The Vexilloid Tabloid, he draws from his extensive database of flag flying days to suggest a flag a day for the next two months. Also in this issue, Michael Orelove writes about flag retirement ceremonies and his visit to Willamette National Cemetery last Flag Day to attend such an event. And as always you’ll find notes from the most recent PFA meeting, John Hood’s “What’s That Flag?” quiz, and Flags in the News. Click here for the current issue (PDF, 2.8MB), and see portlandflag.org/vexilloid-tabloid for access to all back issues. And to answer the title question for today, August 1st: John suggests Switzerland, as today is the Swiss National Day. Author SDMPosted on August 1, 2010 January 18, 2015 Categories PostsTags Flag Holidays, Vexilloid Tabloid, VexTab271 Comment on What flag should I fly today? 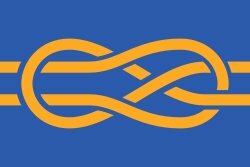 The Portland Flag Association will be meeting tonight, Thursday July 8th. Please see the Next Meeting page for details. Hope to see you there! Vexilloid Tabloid #26 is here! Click here for this color-, fun-, and fact-filled issue (PDF, 2.7MB), and see portlandflag.org/vexilloid-tabloid for access to all 26 issues of this venerable publication. All free, all worth every penny! Author SDMPosted on June 14, 2010 January 18, 2015 Categories PostsTags Vexilloid Tabloid, VexTab26Leave a comment on Vexilloid Tabloid #26 is here! All 25 issues of our newsletter The Vexilloid Tabloid are now available as PDF files. Kudos to our esteemed vexillological puzzlemaster, newshound, and editor, John Hood! Welcome to the online home of the Portland Flag Association! Stay tuned — we are in the process of moving our newsletter The Vexilloid Tabloid and other content online. We welcome new members! Please email John Hood at vivijohn [at] comcast.net for information about our group and our next bimonthly meeting. Author SDMPosted on May 23, 2010 May 23, 2010 Categories Posts1 Comment on Welcome!